Follow I-70 East to Exit 227 Zumbehl Rd. Turn Right onto Zumbehl Rd. and follow until forced right turn onto Elm Point Industrial Dr.
Take Exit 5 to Merge onto Elm Street toward New Town Blvd. Continue on Elm St. Dr. to Elm Point Industrial Dr. Turn Right on Elm Point Industrial Dr.
Elm Point Animal Hospital will be on the Left. Take Exit 22A-22B for Missouri Bottom Rd/MO-370 West toward St. Charles County. Take Exit 5 from MO-370 West to Elm St./ New Town Blvd in St. Charles, MO. 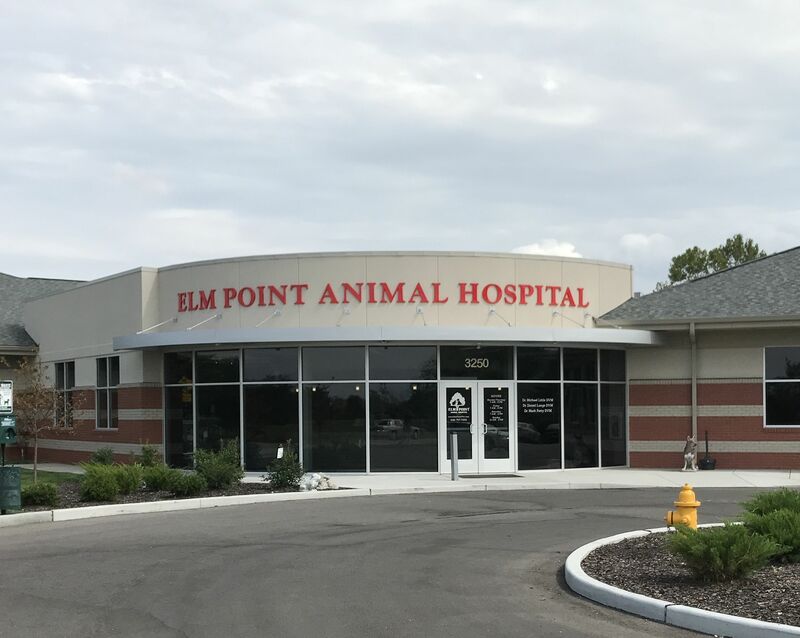 Take Elm Street to Elm Point Industrial Dr. Turn Left onto New Town Blvd. Turn Right onto Elm Point Industrial Dr. Follow Hwy 94 North to the Zumbehl Rd intersection. Take a Left at the light and follow Zumbehl Rd. for approximately 3.5 miles. Continue on Zumbehl Rd. and follow until forced right turn onto Elm Point Industrial Dr.
Elm Point Animal Hospital will be on the Right.